This piece is a depiction of the Closing Ceremony to an Olympic Games. It is organized in 3 sections: Fanfare, Parade of Flags and Celebration. The majesty of the ceremony opens with a fanfare, then the flags of all the participating countries process in until all have gathered together and ... the party begins! The inspiration for the words came from a letter written by a young boy who felt that the athletes should not enter by country but march in mixed all together. 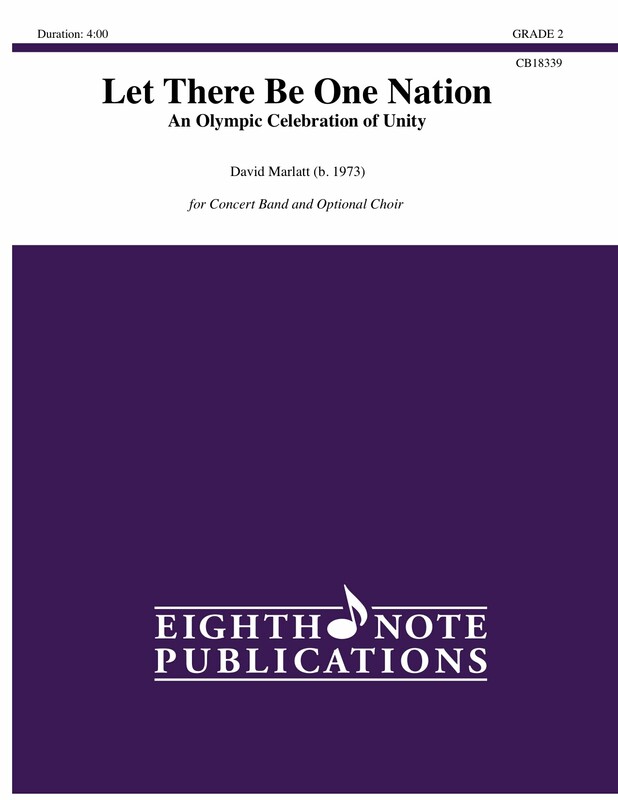 Let there be One Nation. War, politics and nationality will all be forgotten, what more could anybody want, if the whole world could be made as one nation.